James Comey’s firing is the moment of truth for the Republican party. They can finally find the courage of their convictions—or let Trump destroy the republic. Now–former Federal Bureau of Investigation Director James Comey at the Intelligence and National Security Alliance Leadership Dinner on March 29 in Alexandria, Virginia. There are enough ironies in the story of James Brien Comey Jr. to fill multiple biographies: He has long enjoyed a reputation as a consummate professional, and yet he has behaved in a blatantly unprofessional manner in the moments that will forever define his career. He is an admirer of Reinhold Niebuhr, the great liberal theologian, and yet he bears a lot of responsibility for placing Donald Trump in the White House. But here, for all of those ironies, is the stark bottom line: The president of the United States just fired the director of the FBI in the midst of an ongoing investigation into his campaign’s possible collusion with a hostile, authoritarian power. And that is a very scary sign of what he may have in store for the American republic over the next four years. Trump has already done a lot of damage. Over the past three months, he has pursued cruel policies that will leave millions of Americans worse off and less healthy. He has consistently undermined key democratic norms by attacking the free press, by denigrating the judiciary, and by allowing his associates to use his position for private gain. But amid all this bad news, there has been one reason for cautious optimism: The greatest fear many political scientists had expressed before his election was not coming to pass. Despite his verbal attacks, Donald Trump did not seem to be taking any concrete action to undermine the independence of key state institutions. Until Tuesday. One of the most important tasks of the director of the FBI is to ensure that his institution remains studiously neutral, both in perception and in reality. This task has become more and more difficult as the partisanship in American politics has become more and more vicious. Comey thus faced a daunting task—one that, in the shared judgment of people who can agree on very little else, he clearly failed to master. This made him immensely unpopular on all sides of the political spectrum, and it now gives Trump some amount of cover for ousting him. But if the director of the FBI has to take special care to ensure that criminal investigations do not unnecessarily influence elections, the president has an even greater obligation to ensure that he is not seen to punish members of the executive branch for investigating malfeasance by him or his team. Tuesday, Trump has recklessly and deliberately flouted that duty. Let us assume, for the sake of argument, that Comey was terrible at his job and deserved to get fired. And let us assume, for just a moment, that there is absolutely nothing to the ongoing FBI investigation into Trump’s links to the Kremlin. Even if both of those assumptions were true, Comey’s firing would still send a chilling message to every federal employee: If you cross Trump’s interests by doing your job, you may well get fired. And that’s the best-case scenario. What seems just as likely, especially given the uproar the White House must have expected as a consequence of its action, is that Trump is deliberately obstructing the course of justice, because he has good reason to be afraid of the ongoing FBI investigation. In that case, the firing of Comey is but the first maneuver in a much wider assault on the ability of independent state institutions to carry out their job. Whether Trump succeeds in this endeavor now depends in good part on whether he can replace Comey with a loyalist who is willing to do his bidding. And whether he is able to place a partisan crony at the helm of the FBI—effectively destroying one of the country’s most important institutions—now depends on that small crew of Republican senators who have consistently criticized Trump’s authoritarian tendencies—only to vote in favor of his nominees every step of the way. For people like John McCain and Ben Sasse the moment of truth is nigh. 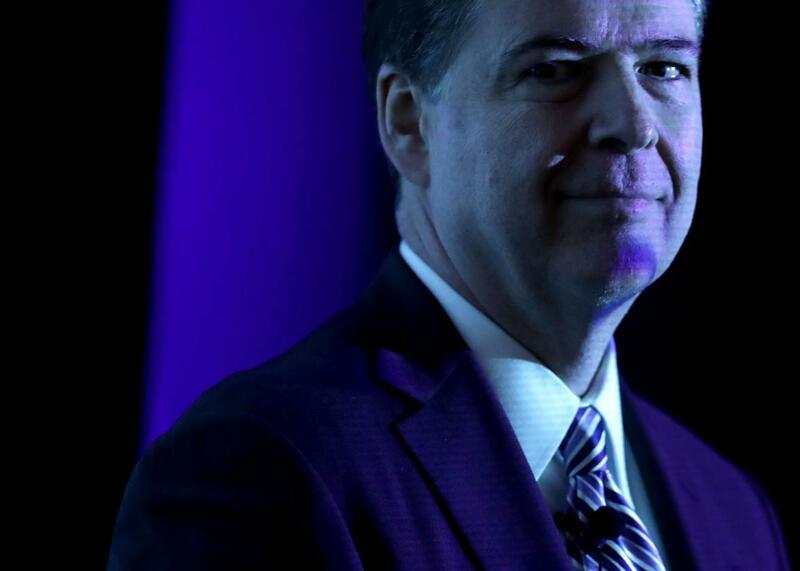 If they find the courage of their convictions, they can ensure that Comey will be succeeded by the consummate professional he never was, and rescue the independence of the FBI. If, by contrast, they once again fail to live up to their principles, and allow a partisan hack to neuter the FBI, then the American republic will be in grave danger. A hundred days into the Trump administration, a lot of commentators declared that the system of checks and balances seemed to be holding up. For all of his rhetorical bluster, Trump did not seem to be attacking American democracy. Now he is. And it is up to people like McCain and Sasse to decide whether or not those checks and balances will, in fact, hold up to Trump’s attacks.